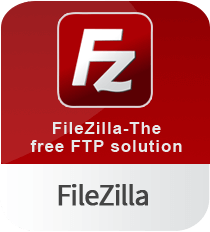 FileZilla is a free FTP client for Windows. The file transfer tool provides support for FTPS (FTP over SSL/TLS) as well as SFTP (SSH File Transfer Protocol) file transfers. It features a simple tabbed GUI that lets you easily make use of all features offered by the small FTP client. The FTP tool lets you transfer and download files as huge as 4 GB+. The free FTP client is available in multiple languages and provides support for IPv6/IPng protocol. FileZilla packs a complete network configuration wizard that lets you set up network connections in just a few minutes. With the file transfer protocol tool, you can easily set limits on transfer speeds for various files and IP servers. Download FileZilla now and enjoy a seamless file transfer experience. You can easily locate a file by making use of the synchronized directory browsing feature offered by the FTP program. The FTP tool lets you add bookmarks for later use and adds all the FileZilla activities to a separate logging file that can be later used to debug the program, in case any error is generated. It also lets you edit files remotely. FTP-Proxy, HTTP/1.1 and SOCKS5 support are provided by FileZilla. It also features a number of filename filters to help you better manage files with the free software. Drag & drop support is available with the FTP client. > Inbuilt site manager – Features a powerful built-in site manager utility for keeping track of all websites. The site manager features an efficient transfer queue. > Keep-alive – Keep-alive lets a broken or unavailable download to be paused and resumed later when the hosting-server is available. Useful in cases, when server outage/downtime initiates while the file is still being transferred by the FTP tool. > Open-source – Available for full and free use under the GNU GPL license. You can even alter the source code of the free and full FTP software to make it adapt as per your requirements. > Nightly builds – A number of stable versions of the software dubbed nightly builds are available. Useful when experiencing bugs with the FTP tool. > Compact – Consumes less than 25 MB of storage space and is available to work in line with other programs running on the system. FileZilla is a small and amazingly fast file transfer protocol utility for Windows that lets you easily manage all your FTP file transfers from a single place. The tools lets you keep a detailed track of all your downloads/file transfers while optimizing them at the same time.